No one likes the idea of someone breaking into their home or office, rifling through their valuables and important documents, and making off with whatever they please. The trouble is, this kind of invasion could happen to any of us, at any time. 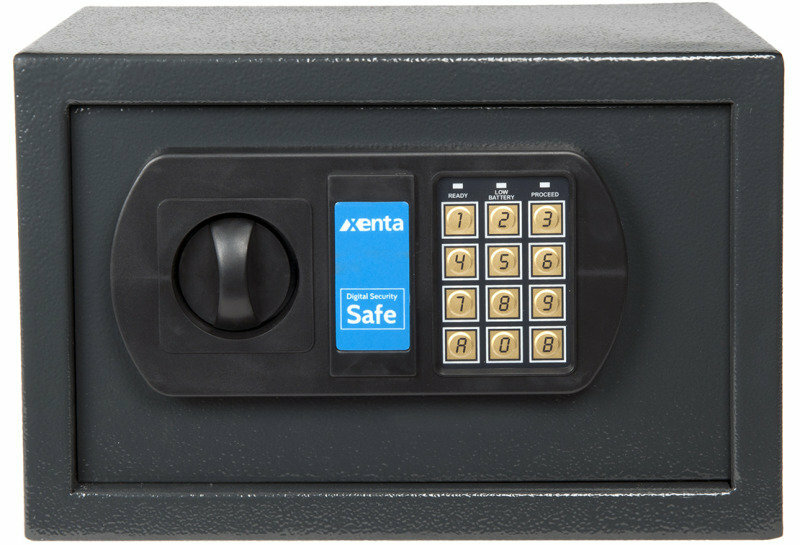 The Xenta Electronic Safe is a low cost yet highly effective safeguard for your most essential or expensive possessions. 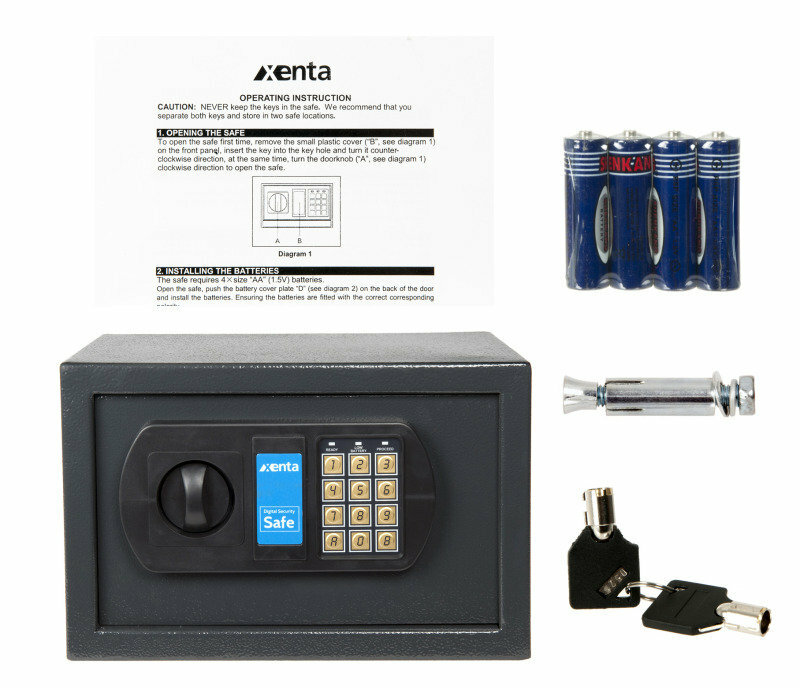 Operating much like the electronic safes found in hotel rooms the world over, this Xenta model is ideal for housing small yet crucial items, such as jewellery, passports and cash. 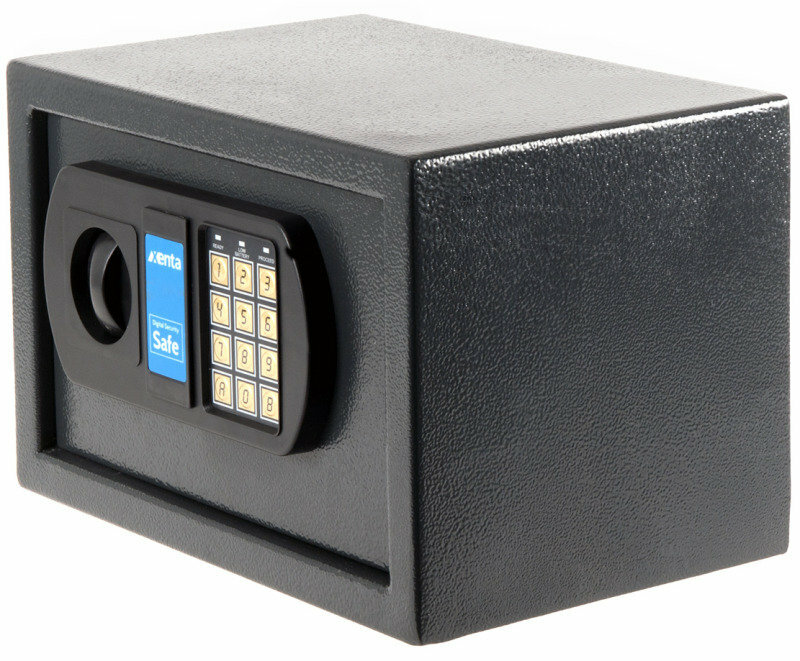 There’s no need to worry about losing keys or intruders finding them as the safe is operated via electronic keypad that only responds to the code inputted by you, the owner. Place your valuables inside, close the door, enter the code and the safe locks. Simply reverse this sequence to retrieve your goods. 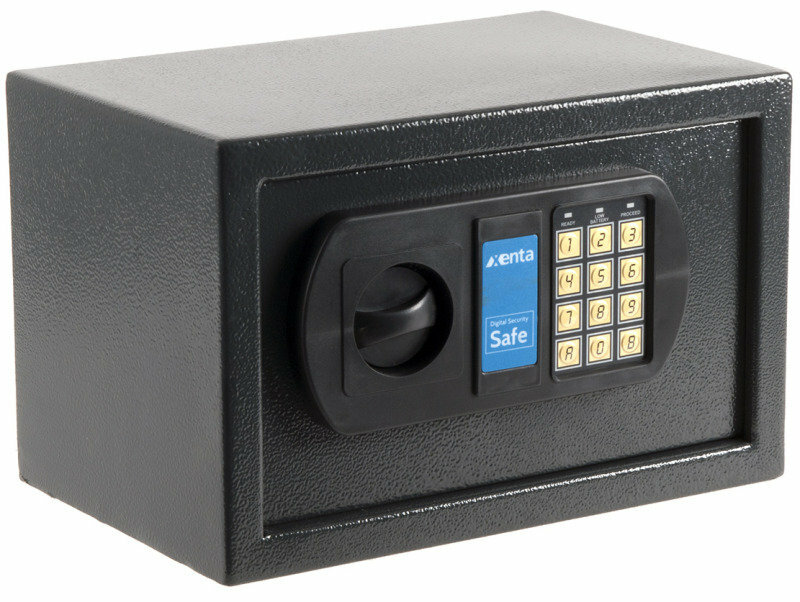 While most homes and businesses have several weak points through which a determined crook could force entry, the Xenta safe, once locked, is fully sealed against incursion. The 3mm-thick door and 1.5mm-thick body casing will be more than enough to turn all but the most sophisticated safe-cracking tools. The real beauty of this model is its size. 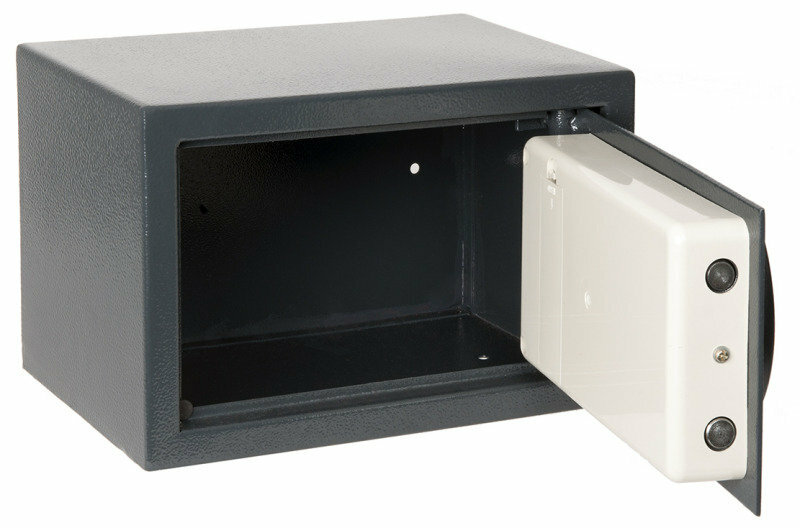 It can easily be hidden away at the back of a wardrobe or in the dark recesses of an airing cupboard, and the rear anchor points mean it can be bolted in place for extra security.